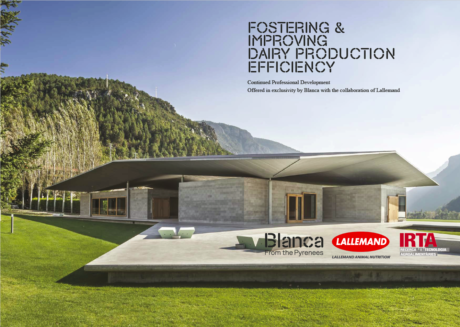 On April 10-12, 2018, several key dairy nutritionists and consultants from around the globe, gathered to attend the fourth session of Lallemand Forward professional development course at the Blanca Dairy Hub in Spain. The 2018 session focused on optimizing milk efficiency through three major areas on-farm: silage quality, nutrition and management. This annual program is part of the continuous partnership between Lallemand Animal Nutrition and Blanca which focuses on research and development and high-level professional education. This professional development course is part of Lallemand Forward, a range of service solutions to enhance people, knowledge and production practices, from industry to farm level. To learn more about Lallemand Forward initiatives, please visit the Lallemand Forward section of this website. To learn more about the Blanca Dairy Hub and their mission, please visit http://blancahub.cat/page/5. Learn more about the 2018 program by clicking here.